Ali Shukri Amin is a teenager from Manassas, Virginia, who recruited and propagandized for ISIS on several online platforms including Twitter, Ask.fm, and a blog entitled, “Al-Khilafah Aridat.”“UNITED STATES OF AMERICA v. ALI SHUKRI AMIN, Defendant,” United States Department of Justice, June 11, 2015, http://www.justice.gov/opa/file/477371/download. Amin’s online presence grew substantially in June 2014, when he created his now suspended Twitter account, @AmreekiWitness, which quickly accumulated over 4,000 followers.Mike Levine, “Virginia teen Ali Shukri Amin allegedly admits radicalizing others to join ISIS,” ABC News, June 11, 2015, http://abcnews.go.com/News/virginia-teen-allegedly-admits-radicalizing-join-isis/story?id=31690153. Through @AmreekiWitness, Amin glorified ISIS and defended the beheadings of several Western journalists.“Virginia teen pleads guilty to supporting ISIS,” CBS, June 11, 2015, http://www.cbsnews.com/news/virginia-teen-ali-shukri-amin-pleads-guilty-to-supporting-isis/. In the summer of 2014, Amin tweeted actively in response to the Michael Brown shooting in Ferguson, Missouri, using the incident as a platform for recruiting for ISIS.Souad Mekhennet, “Even the Islamists of ISIS are obsessing over Ferguson,” Washington Post, August 21, 2014, http://www.washingtonpost.com/posteverything/wp/2014/08/21/even-islamist-fighters-in-syria-and-iraq-are-obsessing-over-ferguson/. The FBI arrested Amin in Virginia on February 27, 2015.Matt Zapotosky, “Northern Va. Teen thought to have helped man join Islamic State,” Washington Post, March 4, 2015, http://www.washingtonpost.com/local/crime/northern-va-teen-thought-to-have-helped-man-join-islamic-state/2015/03/04/51c7ec34-c1e6-11e4-ad5c-3b8ce89f1b89_story.html. On June 11, he pled guilty in a federal court in Alexandria, Virginia, to conspiring to provide material support to terrorists.Matt Zapotosky, “Va. Teen admits he was secret voice behind an pro-ISIS Twitter account,” Washington Post, June 11, 2015, http://www.washingtonpost.com/local/crime/northern-va-teen-admits-running-pro-islamic-state-twitter-and-helping-man-join-terrorist-group/2015/06/11/1d0cb33e-0eef-11e5-9726-49d6fa26a8c6_story.html. 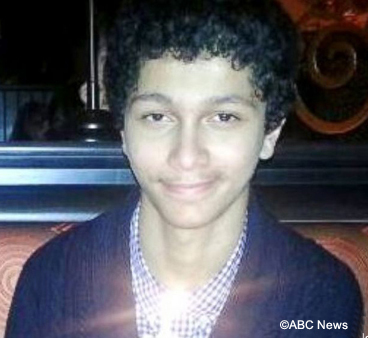 In late August 2015, a federal court sentenced him to over 11 years in prison.Associated Press, “Teen gets more than 11 years for helping Islamic State group,” Washington Post, August 28, 2015, https://www.washingtonpost.com/national/teen-gets-more-than-11-years-for-helping-islamic-state/2015/08/28/aab014ba-4d8d-11e5-80c2-106ea7fb80d4_story.html. Amin garnered financial support for ISIS, directing followers to donate to the terror group through Bitcoin, an online payment system that allows for financial transactions to be conducted anonymously and without an intermediary.“Virginia teen pleads guilty to supporting ISIS,” CBS, June 11, 2015, http://www.cbsnews.com/news/virginia-teen-ali-shukri-amin-pleads-guilty-to-supporting-isis/. Amin also posted several articles on his blog that demonstrated how to use Bitcoin to donate anonymously to ISIS.“UNITED STATES OF AMERICA v. ALI SHUKRI AMIN, Defendant,” United States Department of Justice, June 11, 2015, http://www.justice.gov/opa/file/477371/download. He urged readers to use a specific Bitcoin wallet called “Dark Wallet,” which would mask the donor’s identity.“UNITED STATES OF AMERICA v. ALI SHUKRI AMIN, Defendant,” United States Department of Justice, June 11, 2015, http://www.justice.gov/opa/file/477371/download. On his blog, Amin instructed his readers on how to use “security measures in online communications, [including] encryption and anonymity software,” according to the United States Department of Justice.“UNITED STATES OF AMERICA v. ALI SHUKRI AMIN, Defendant,” United States Department of Justice, June 11, 2015, http://www.justice.gov/opa/file/477371/download. Amin operated an Ask.fm account under the name AmreekiWitness, which, according to the Washington Post, Amin characterized as “dedicated to raising awareness about the upcoming conquest of the Americas, and the benefits it has upon the American people.”Matt Zapotosky, “Va. Teen admits he was secret voice behind an pro-ISIS Twitter account,” Washington Post, June 11, 2015, http://www.washingtonpost.com/local/crime/northern-va-teen-admits-running-pro-islamic-state-twitter-and-helping-man-join-terrorist-group/2015/06/11/1d0cb33e-0eef-11e5-9726-49d6fa26a8c6_story.html. In September 2014, Amin began radicalizing fellow Virginian Reza Niknejad, to which he admitted in his plea agreement.Mike Levine, “Virginia teen Ali Shukri Amin allegedly admits radicalizing others to join ISIS,” ABC News, June 11, 2015, http://abcnews.go.com/News/virginia-teen-allegedly-admits-radicalizing-join-isis/story?id=31690153. Niknejad traveled to Syria on January 14, 2015. Amin accompanied Niknejad to the airport and put him in contact with unnamed ISIS militants with whom he had formed connections over social media.Matt Zapotosky, “Va. Teen admits he was secret voice behind an pro-ISIS Twitter account,” Washington Post, June 11, 2015, http://www.washingtonpost.com/local/crime/northern-va-teen-admits-running-pro-islamic-state-twitter-and-helping-man-join-terrorist-group/2015/06/11/1d0cb33e-0eef-11e5-9726-49d6fa26a8c6_story.html. Ali Shukri Amin is a teenager from Manassas, Virginia, who recruited and propagandized for ISIS on several online platforms including Twitter, Ask.fm, and a blog entitled, “Al-Khilafah Aridat.”“UNITED STATES OF AMERICA v.
“I can’t imagine the reward of the brother who brings the jihad and the dawah to Latin America.” (Tweet)“Teen IS supporter in Virginia was a staple of IS online community,” Insite Blog on Terrorism & Extremism, June 12, 2015, http://news.siteintelgroup.com/blog/index.php/entry/386-teen-is-supporter-in-virginia-was-a-staple-of-is-online-community. “Killing men from the kuffar [disbelievers] is halal [permissible]. I don’t think it’s the wisest choice. Uthaymeen released a fatwa saying killing children of kuffar through qisas is halal [forbidden]. I disagree with that as well. Killing the men without a treaty is halal, this is well known from the Sunnah [tradition of the Prophet].” (Tweet)“Teen IS supporter in Virginia was a staple of IS online community,” Insite Blog on Terrorism & Extremism, June 12, 2015, http://news.siteintelgroup.com/blog/index.php/entry/386-teen-is-supporter-in-virginia-was-a-staple-of-is-online-community. “There are more blacks now than slaves before the civil war. Are you truly free? #IS #Ferguson #JihadinFerguson #ISISHERO #FergusonUnderIS” (Tweet)John Hall, “American Spring? Now Egypt puts the boot in as it urges U.S. authorities to 'exercise restraint' in dealing with Missouri riots,” DailyMail, August 19, 2014, http://www.dailymail.co.uk/news/article-2728831/American-Spring-Now-Egypt-puts-boot-urges-U-S-authorities-exercise-restraint-dealing-Missouri-riots.html. “They cower in fear of us whilst thy massacre and oppress you! It’s time to strike fear into the hearts of the oppressors. #FergusonUnderIS” (Tweet)John Hall, “American Spring? Now Egypt puts the boot in as it urges U.S. authorities to 'exercise restraint' in dealing with Missouri riots,” DailyMail, August 19, 2014, http://www.dailymail.co.uk/news/article-2728831/American-Spring-Now-Egypt-puts-boot-urges-U-S-authorities-exercise-restraint-dealing-Missouri-riots.htm. “We IS guys hate you for your freedom eh? Just like that freedom uplifting curfew in #Ferguson. Wake up, or they’ll never let you outside.” (Tweet)John Hall, “American Spring? Now Egypt puts the boot in as it urges U.S. authorities to 'exercise restraint' in dealing with Missouri riots,” DailyMail, August 19, 2014, http://www.dailymail.co.uk/news/article-2728831/American-Spring-Now-Egypt-puts-boot-urges-U-S-authorities-exercise-restraint-dealing-Missouri-riots.html. “May be time to organize the Muslims in America upon haqq and mobilize to #Ferguson. Defend the oppressed, start jihad here.” (Tweet)John Hall, “American Spring? Now Egypt puts the boot in as it urges U.S. authorities to 'exercise restraint' in dealing with Missouri riots,” Daily Mail, August 19, 2014, http://www.dailymail.co.uk/news/article-2728831/American-Spring-Now-Egypt-puts-boot-urges-U-S-authorities-exercise-restraint-dealing-Missouri-riots.html. “IS has flaws, but the moment you claim they cut off the heads of every non-Muslim they see, the discussion is over.” (Tweet)Matt Zapotosky, “Va. Teen admits he was secret voice behind a pro-ISIS Twitter account,” Washington Post, June 11, 2015, http://www.washingtonpost.com/pb/local/crime/northern-va-teen-admits-running-pro-islamic-state-twitter-and-helping-man-join-terrorist-group/2015/06/11/1d0cb33e-0eef-11e5-9726-49d6fa26a8c6_story.html?resType=accessibility. “The United States government, the government of the United Kingdom, France, and elsewhere, want to jail you. They want you to suffer. And they aren’t playing games.” (Tweet)“Teen IS supporter in Virginia was a staple of IS online community,” Insite Blog on Terrorism & Extremism, June 12, 2015, http://news.siteintelgroup.com/blog/index.php/entry/386-teen-is-supporter-in-virginia-was-a-staple-of-is-online-community. “Do not post pictures or any indication of who you are explicitly. If you feel the need to alter your writing style a bit, if you were a popular page, do so. You can make subtle indications that this is so and so, however, nothing that can be proven in a court of law.” (Tweet) “Teen IS supporter in Virginia was a staple of IS online community,” Insite Blog on Terrorism & Extremism, June 12, 2015, http://news.siteintelgroup.com/blog/index.php/entry/386-teen-is-supporter-in-virginia-was-a-staple-of-is-online-community. “The khilafah [caliphate, or the “Islamic State”] needs its own website. Let’s make it happen, and once infrastructure is done, give it to them to use and upload things on.” (Tweet)Miriam Berger, “Where is ISIS moving to online as Twitter clamps down?” Buzzfeed, August 20, 2014, http://www.buzzfeed.com/miriamberger/where-is-isis-moving-to-online-as-twitter-clamps-down#.kuwlkRBxo. “The khilafah [caliphate, or the “Islamic State”] cannot keep using JustPaste and releasing their media releases in the wild. It needs an official website ASAP.” (Tweet)Miriam Berger, “Where is ISIS moving to online as Twitter clamps down?” Buzzfeed, August 20, 2014, http://www.buzzfeed.com/miriamberger/where-is-isis-moving-to-online-as-twitter-clamps-down#.kuwlkRBxo. “If anyone is very good at web development and/or graphic design, please let me know. Need help on something that could be big.” (Tweet)“Teen IS supporter in Virginia was a staple of IS online community,” Insite Blog on Terrorism & Extremism, June 12, 2015, http://news.siteintelgroup.com/blog/index.php/entry/386-teen-is-supporter-in-virginia-was-a-staple-of-is-online-community.